Commute pie. Bags for your gear. How do you store your gear when traveling daily or for a more lengthy time period? I bought the small green bag today as I was walking past a sale. 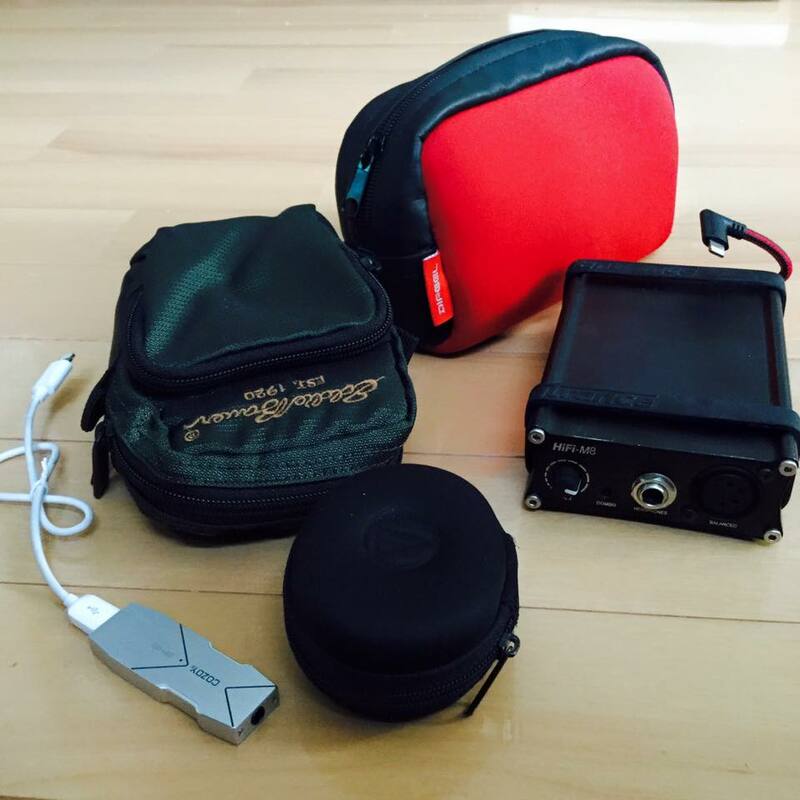 Perfect size for my ipod touch 6G 128GB, Cozoy Aegis and ATH-CK10. The red back is a small camera bag. Audio shops in Tokyo, Japan.